Prevost boasts one solid track record when it comes to the production of high-quality quick couplings. As a matter of fact, the company has been held in high regard as being the French leader in the industry. Due to the company’s popularity, Prevost is a common name as it’s the reference partner for companies that are utilizing pneumatic and hydraulic power. In the years of catering the needs of the customers, they have been opening up a wide range of product options for their clients. Their standards for the operating pressure is at 0 to 145 PSI. The flow rate of the usual couplings is 34 GPM. It runs 9 mm for the ID passage of the product, and its temperature rate is somewhere from: +5°F to +140°F. Moreover, to ensure that the products will not only be looking aesthetically pleasing, but durable as well, it’s been designed with a chrome-plated brass body. Through the power of innovation, and the minds of Prevost’s engineers, they have made one of the best-compressed air pipe and fitting in the market. These have only been made with the finest of materials available, and it uses an advanced technology system for the completion of their creation. The operating pressure for their compressed pressure is 0 to 217 psi. It boasts a high-quality exterior, intended to offer a good amount of years in service. The construction was solely made out of brass and nickel-plated brass to guarantee longevity for their clients. 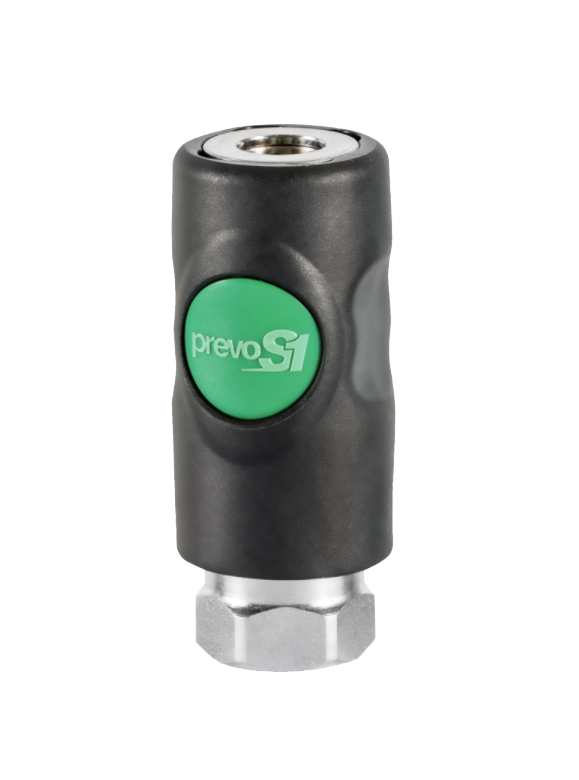 Why Does IMS & DBH Use Prevost Products? Founded in 1978, Prevost remains one of the best in the industry even up to this day. Years of being active in the business process, Prevost has made a huge impact in their presence for big time clients in Europe. Their growth spread throughout different countries, from the United States of America to conquering over eighty more countries. Well-known for their consistency of high-quality, Prevost boasts more than 7,000 products being distributed globally. Please call us! We would be happy to hear from you and we love to answer any questions you might have about our current products or services; industrial machine servicing; line boring equipment; Pneumatic Valves; Welding Products & Supplies;Steel and Stainless Hydraulic Fittings; Toshiba Electric Motors; Paint Booths and Systems; Pelican Soft Coolers; Hose Reels; Hydraulic Pumps; Pneumatic Compressors; Air Nozzles; CNC Parts, and many more services than we can list.